The long-awaited winter holidays, filled with pleasant and joyful anticipation of troubles will pass by in an instant, and will be many more days on which children are waiting for entertainment, games and merriment! The task of parents - to fill these days very different, but certainly interesting and useful for small fidgets tasks: active and passive, street and home, static and interactive. We'll give you a few helpful tips and offer options for hanging out, so that all were interesting and fun. The main rule of the vacation is more fresh air and active games on the street. You can roll snowballs for a while, compete, who has more snowballs, build castles and snowballs, throw snowballs at the target or tinker snowmen on the contrary - this is when stick-legs are inserted in the upper snowball (it's especially funny to put old boots on them or skates), and the bottom piece is put "upside down" face. If there is no snow - walk in the woods, arrange competitions for running around with obstacles around the trees, hang up feeding troughs for birds and squirrels, return home ruddy, slightly frozen and very tired. Warm up for warm tea and plaid pajamas for watching a family New Year's cartoon. A wonderful tradition is to make family dumplings and vareniki with the whole family! The process is long, but very exciting, and most importantly - you can connect even younger children to it! Do you remember the series "Masha and the Bear"? You can use ready-made minced meat, for example, from turkey, for dumplings, or frozen berries for the summer - for dumplings. The dough is prepared simply: a glass of water, an egg, salt and a pound of flour. The dough should be rolled very thinly, and then cut the dumplings with a glass, spread a teaspoon of filling and mold the pelmenko. Or maybe you still have such an archaic subject, like a metal pelmennitsa? But more fun, of course, by hand! It must be remembered that on New Year's holidays all TV channels offer a lot of children's cartoons, fairy tales and performances. But often the matter is overshadowed by the fact that you sit all day at the TV and wait for the start of your favorite cartoon, neither you nor the child would like. And if a child is late for a cartoon with a walk - upset. To avoid this, there is a wonderful way out - a children's tablet, which you can download not only your favorite cartoons or audiobooks, but also developing programs. Throughout the world, a huge team of professionals is developing educational and development applications that combine the very best - beautiful tales, wonderful illustrations, funny animations, exciting tasks, professional acting voice acting, etc., etc. 1. «HappyKids»: there were a lot of children's books, music, developing applications, and cartoons. There are free books, there are books in an interactive version from the publisher, "Clover", Russian folk tales from the publisher "Umka" audiobook publishing "Elena." Advise those who love to read with your child and wants to teach him using educational games. We like different training voiced books: "Smart alphabet", "Numbers", "Length and Width" and different interactive tales with animation. 2. Drawnimal - this alphabet, which requires self-draw animals. Each letter corresponds to an animal - a child draws on paper paws, tails, ears, and the screen displays animated muzzle. Great fun for kids and parents. 3. "Workshop Kidscraft» - this is a bright and colorful application with ideas for children's creativity. 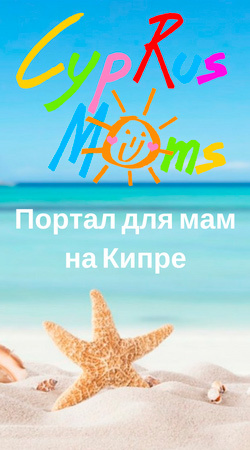 Total annex 20 master classes from Tatiana Makurova Team, author workshops for parents in magazines and books on child-parent creativity. Unusual and while simple in design toys and games can be implemented immediately. Good guide for creating bright Christmas decorations and toys certainly come in handy during the winter holidays! Try to spend the holidays so that they are etched in the memory of the baby! Spend as much time together - even when you will stand out free week, which can be entirely devote own flock? We hope that these tips will be useful, and looking forward to your comments - offer their own versions of recreational activities with the child during the Christmas holidays. After all, every family has its own traditions and your favorite winter games. While the most interesting children to spend time with you - enjoy the moment, create a family tradition, pamper and indulge!